just curious, anyone here supporting our first listed movie producer here? Thank you Sinkie for this wonderful compilation, those who are new and need info can read this. A producer of movies and TV/online content, mm2 Asia Ltd (mm2) provides services over the entire filmmaking process, from financing to production and distribution. Notable local productions include 'Ah Boys to Men'. Based on an orderbook of 18 production titles, including some big productions, and at least six distribution rights till Apr-16, plus revenue from its blockbuster 'Ah Boys to Men III' yet to be fully recognised, mm2 is expected to register higher revenue in FY16. In FY14 and 15, mm2 produced six and nine production titles respectively. Revenue grew at a CAGR of 55% from FY12 to FY15. Gross margin has also improved to 39% from 32% in FY14. 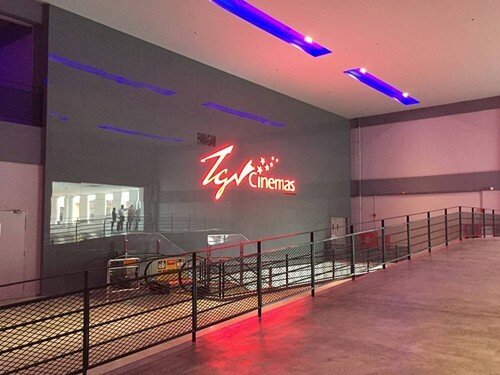 To broaden its revenue stream, mm2 has recently acquired five cinemas in Malaysia. The ownership of cinemas will provide a source of recurring income to the group and cost savings in the longer term. We value the company at 18x on FY Mar17 EPS, a 30% discount to peers, given its much smaller size. Based on this, we arrive at a fair value of $0.84. The stock is currently trading 14x FY17PE. Attractive PEG valuation. The group is trading attractively at 0.48x FY15 PEG. MM2’s earnings growth is likely to remain strong and this makes the stock an exceptional growth play. 06 January 2016 - DBS Singapore Company Focus: mm2 Asia Ltd.
12 January 2016 - UOB Retail Market Monitor: mm2 Asia Ltd.
■Hoping to ride on the rise of Asianmoviesand OTT media. Raising profile with entry of StarHub. With StarHub now becoming a strategic investor with a 9.05% stake, mm2 can tap on the former's strong brand name and this could raise its profile and pave the way for bigger opportunities ahead. We maintain our BUY call on mm2 with a higher target price of S$0.63. mm2 generates revenue by extracting fees from producing and distributing movies. It has a high-margin business model (Gross margin: 40-50%, Net margin: c.20%) with an impressive growth outlook. We expect mm2 to grow at an EPS CAGR of 59% for FY15 to FY18F, underpinned by growth in local productions, expansion into the China market, and contribution from cinema operations and newly acquired entertainment company, UnUsUal Group. 29 Mar 2016 - Ang Wee Chye (CEO/Executive Director at mm2 Asia Ltd) sold 8,845,000 shares to Ms Choo Meileen (Cathay Organisation's Managing Director) which represent approximately 2% of the Listed Issuer's issued and paid-up share capital of 442,264,888 shares. 30 Mar 2016 - Ang Wee Chye (CEO/Executive Director at mm2 Asia Ltd) sold 4,443,000 shares to Ms Choo Meileen which represent approximately 1% of the Listed Issuer's issued and paid-up share capital of 442,264,888 shares. 31 Mar 2016 - Ang Wee Chye (CEO/Executive Director at mm2 Asia Ltd) sold 22,000,000 shares to Mr Ron Sim Chye Hock (Founder, Chairman and CEO of Osim International Ltd.) which represent approximately 4.97% of the Listed Issuer's issued and paid-up share capital of 442,264,888 shares. Last edited by s-ghost; 11-01-2018 at 06:55 PM..
Buy new house # for 4D , HUAT Huat ! Here's to more highs ahead ! Check out MY IT Clearance Sale!!! Pls Sarpork Japanese Drama Club & Southeast Asia Films! I'm not giving up any chances ah tiong chiong ah!!! !